I was beside the river a couple of days ago and glimpsed dark slipping movements out of the corner of my eye. The observer was being observed. 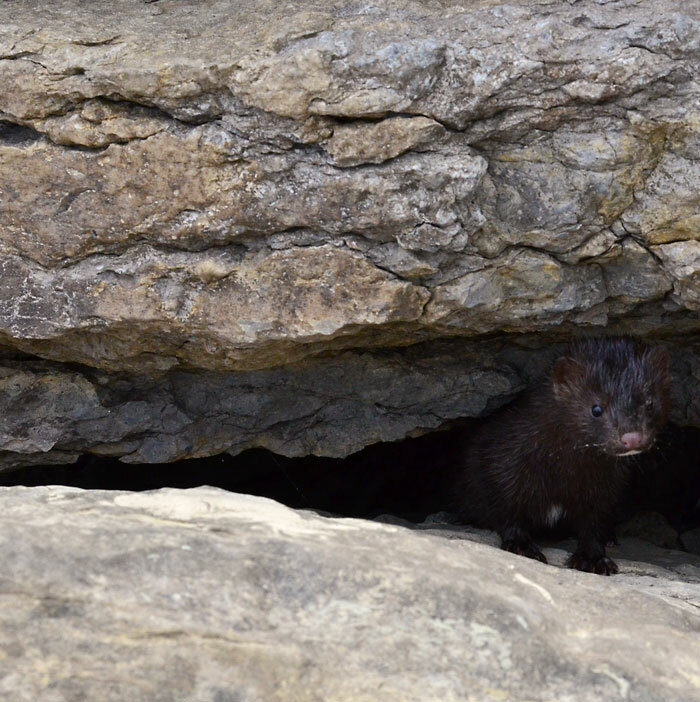 A few moments later I was almost face to face with this little mink. Just an arm’s length away. We are, apparently, mutually curious creatures. The mink slipped away into a crevice. “Come”, I said gently. And briefly, it returned. I am always a little awed by these fleeting brushes with nature. 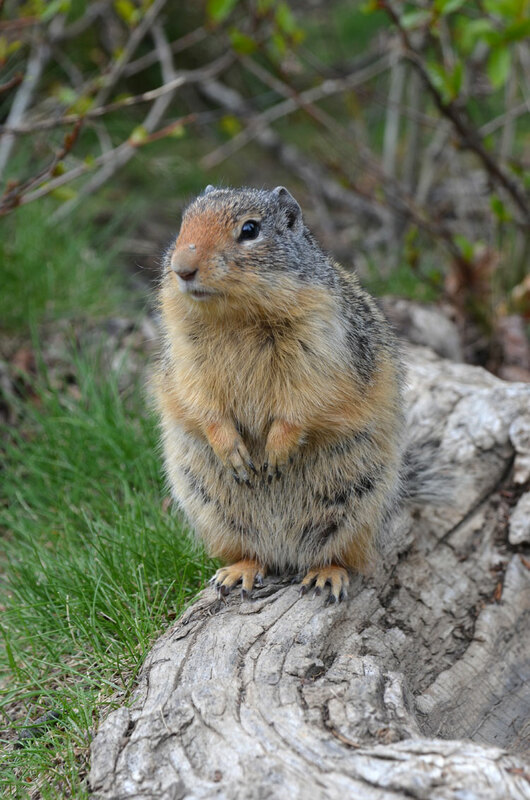 Ground squirrels in the British Columbia mountains. Someone has been ignoring the “Do not feed the wildlife” signs; they were very comfortable posing in front of the camera. Our backyard chipmunk. Simultaneously bold and skittish. And the birds. 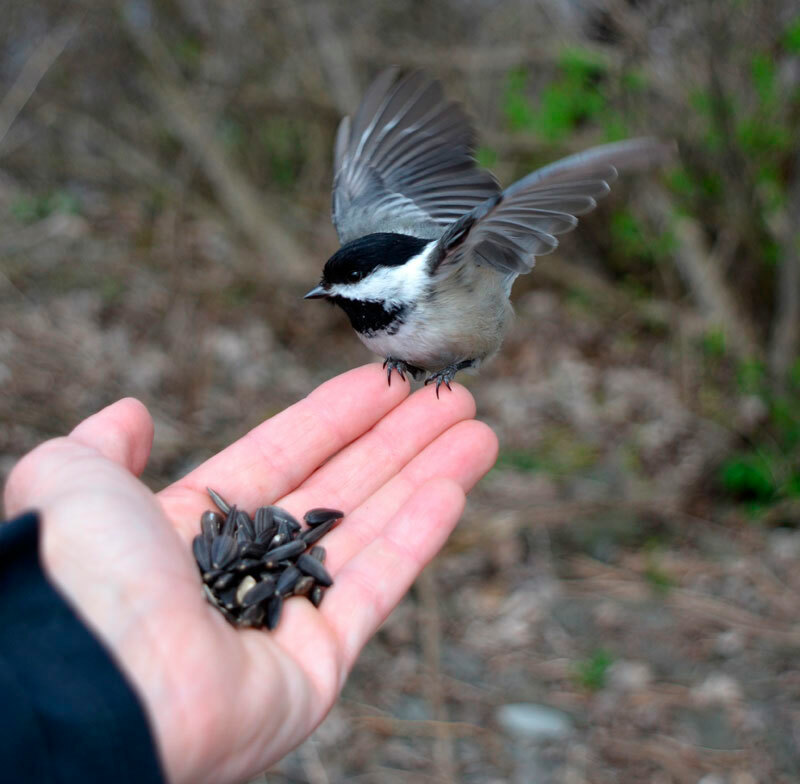 It’s hard to describe the feeling of an almost weightless chickadee perched so gently on your fingertips. A bit blissful. I love your blog… thank you so much for doing it!! I always look forward to it’s arrival in my email!! How lovely and I completely understand how you feel and you will know that because you have followed my blog with it’s foxes, deer, squirrels etc. You must have been in sheer bliss with these encounters. huh?!!!! I am just by looking at your photos! They are amazing little creatures! Thank you, Marina! Oh so wonderful! Beautiful pictures, creatures and experiences! Fun photographs! The last time I was in Canada I saw a Brown Squirrel..the kind with the ear tuffs. I’d not seen one before or since. “We are, apparently, mutually curious creatures.” I like this sentence. Photos are good, too ! your posts are always inspiring, but this one particularly so. what sweet little friends you have. Thank you, I appreciate that. I imagine you are familiar with ground squirrels. We don’t have them here. I admire your post. I’ve not seen photos of live mink, 🙂 You’ve captured three aspects which intrigue me when it comes to wildlife and human interaction. Thank you, it was the first time I’ve seen a mink close-up, too. I love these shots, Karen. Nice to be living with these little critters. And an amazing catch of the little bird with its wings outstretched. Wonderful! Hi Karen, these pictures are just incredible!! Absolutely gorgeous! 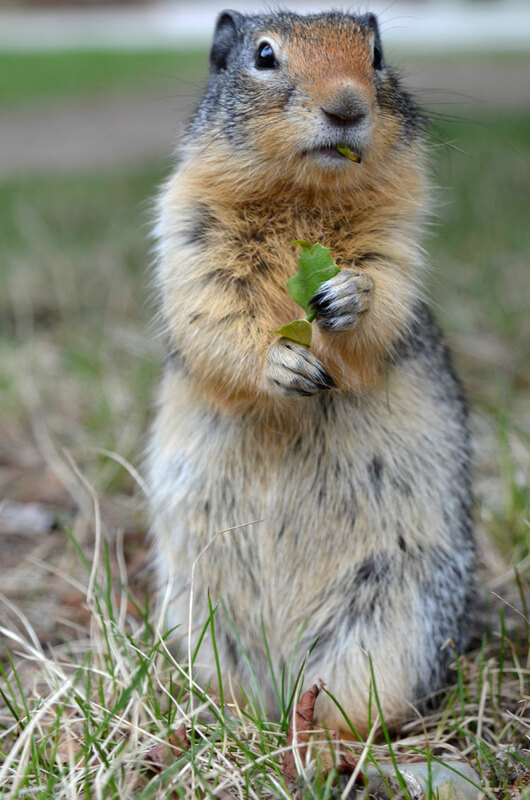 I wish I could touch the scarfaced squirrel’s little chubby face, the pictures are so good that they feel that close! Thank you! The chipmunks are pretty adorable. Awesome photos. Thank so much for share them. in relaxed natural way —– no dramatization, no humanization = I like it. Love your shots! 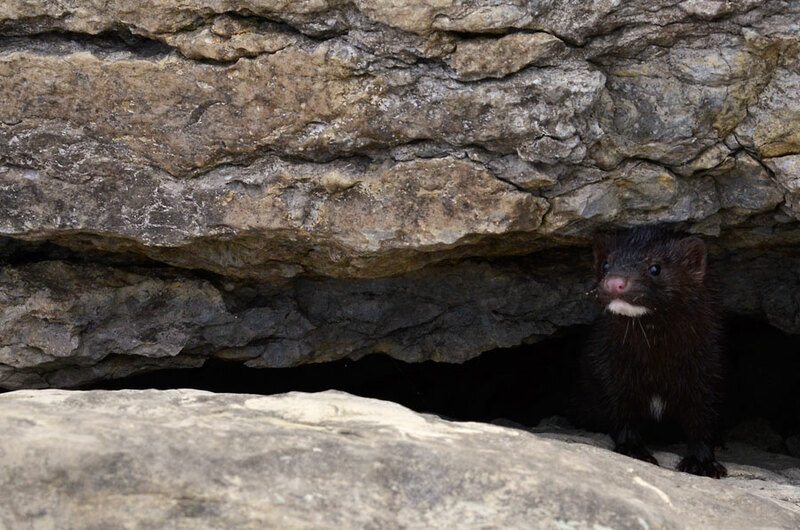 Have not seen a mink – wasn’t even sure if they were around! Love your cheeky chipmunk too! 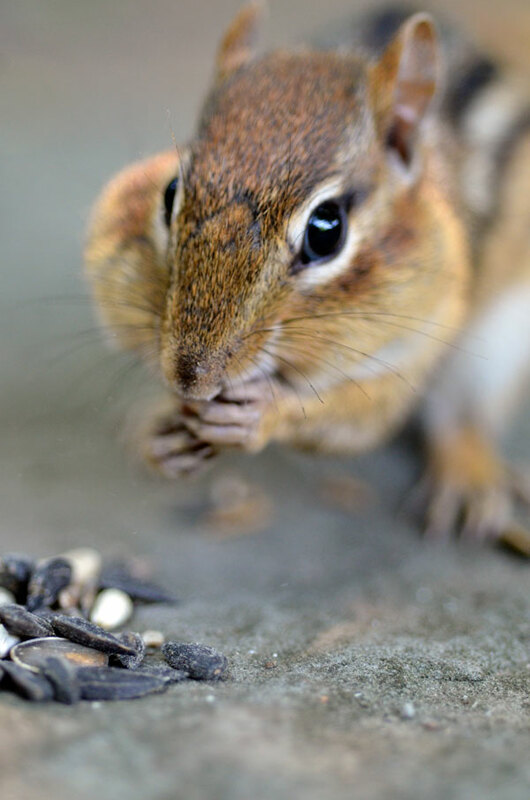 I spend hours trying to coax them out and feed them when visiting my dad – I am sure the neighbours think I am nuts….they are just so adorable! Yes, I’ve never seen a mink up close before. They are very cute! I bet the only reason people thought/think mink coats are cool is because they never saw photos like that! Such a cute little guy. Such beautiful little creatures. Thanks for sharing. Great shots Karen. Those little critters are adorable. The last photo was fantastic. Awesome shot! Thank you, Nareen. I do love those chickadees. Nice to see the mink so close up. It is a cool feeling, for sure. Living in a fairly large city, I love and treasure these unexpected gifts (of brushes with nature). Great set of images, Karen! Glad you think so, Inga. thank you. The curious mink is great. Thank you, he was pretty cool! The chickadees are pretty friendly if you have a handful of sunflower seeds. Thank you Marina. 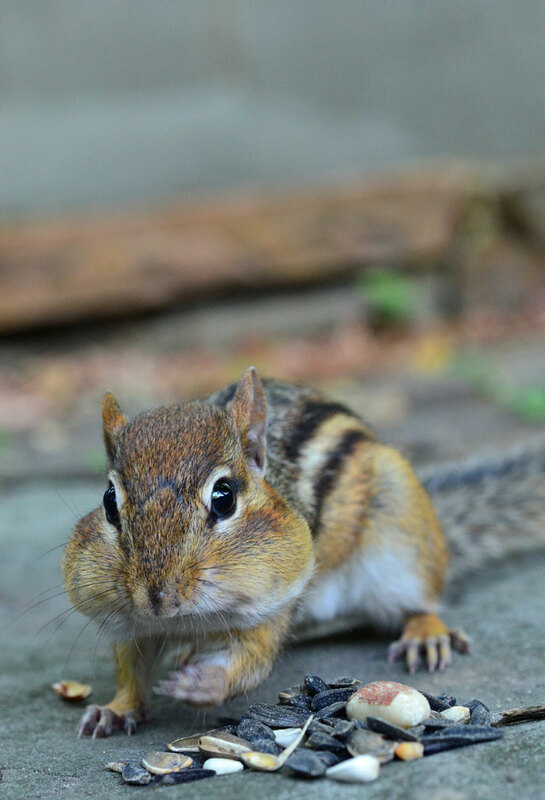 Oh I just love the fat little cheeks on that chipmunk! Yeah, they can fit in an awful lot! Gorgeous! We got a pic of one of these in Scotland this May. We were so excited! Love the chickadee _ so in focus and nice background! The chickadee on the fingers is so amazing. What a beautiful moment captured on film. Wow, these shots are beautiful! More please!! Wow…beautiful captures, Karen…and I can almost imagine the feeling of a little bird lighting on your hand for a snack. I rescued a hummingbird that flew into our house a few years ago and was thrilled to be holding such a delicate little creature in my hands…listening to him (?) squeak as his tiny heart beat against my skin…what a treasure…. Oh, I loved this blog… every shot was a bit of a happy surprise! Thanks so much for sharing these pictures! I’m glad you enjoyed these creatures! Thank you very much. They are lovely and friendly little birds! Wow, how cool to have a bird land in your hand! Great photos!